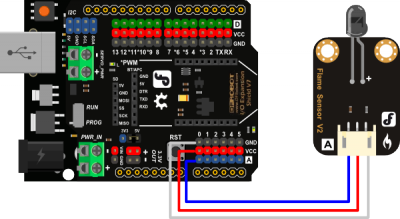 The new version of analog sensor port pin mapping has been changed as the following two features.Please check the tips for changing sensor cable pin mapping while using the I/O Expansion shield. We will continue to update. For the inconvenience caused, please understand. # When flame sensor detected flame, the data will be read by the serial. When the flame sensor detects the flame in the numerical change can be observed in the serial monitor. Q Some general Arduino Problems/ FAQ/ Tips, very good to know. A Clike the topic link on DFRobot Forum. Q Why my two flame sensors get different readings when to detect the same flame? A It's normal. As an analog sensor, the readings would be effected by flame intensity, flame position (angle & distance). Q My flame sensor detects a flame without a flame present. At my desk it was reading values below 20, in my classroom students read value up to 800 without a flame present. A The range of Spectral Bandwidth of the sensor is: 760nm to 1100nm, so it would detect any light whose Spectral Bandwidth is within 760-1100nm. After test, we found it can be effected not only by flame, but also by infrared radiation (Analog read: 900), neon lamps in classrooms (Thanks to Richard) and it can even be effected by phone's flash (Analog read: 50). Generally, in our office, it outputs 0V (analog read: around 10). This can be found in its datasheet. 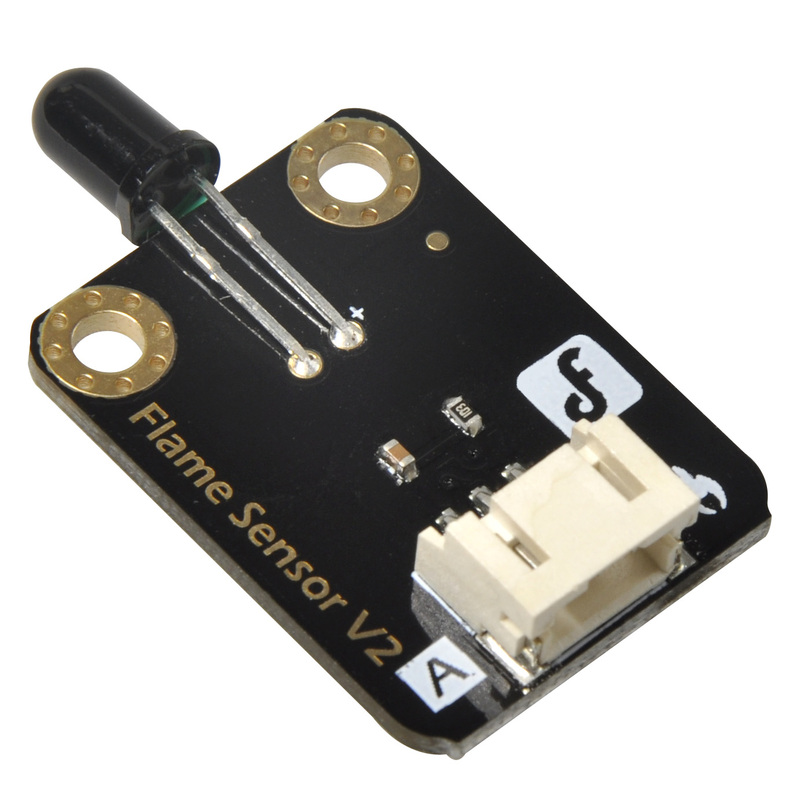 Get Gravity: Analog Flame Sensor For Arduino from DFRobot Store or DFRobot Distributor.